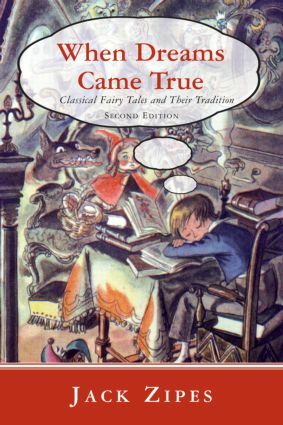 For centuries fairy tales have been a powerful mode of passing cultural values onto our children, and for many these stories delight and haunt us from cradle to grave. But how have these stories become so powerful and why? In When Dreams Came True, Jack Zipes explains the social life of the fairy tale, from the sixteenth century on into the twenty-first. Whether exploring Charles Perrault or the Brothers Grimm, Hans Christian Andersen or The Thousand and One Nights, The Happy Prince or Pinocchio, L. Frank Baum or Hermann Hesse, Zipes shows how the authors of our beloved fairy tales used the genre to articulate personal desires, political views, and aesthetic preferences within particular social contexts. Above all, he demonstrates the role that the fairy tale has assumed in the civilizing process—the way it imparts values, norms, and aesthetic taste to children and adults. This second edition of one of Jack Zipes’s best-loved books includes a new preface and two new chapters on J.M. Barrie’s Peter Pan and E.T.A. Hoffman’s The Nutcracker and the Mouse King.